A 5-session program at St. Anthony’s led by Sr. Terry Smith FcJ. 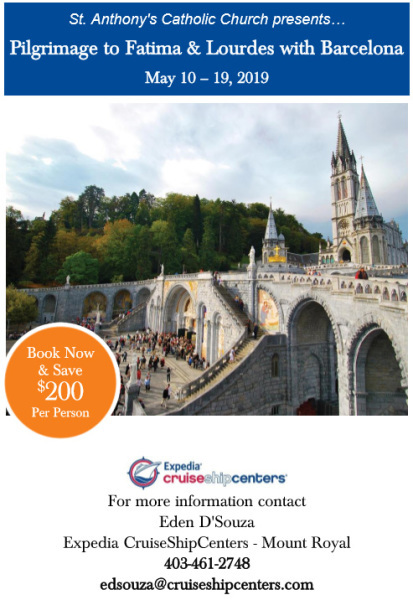 Registration forms are available at HERE. With Burning Hearts seeks a fuller understanding of Eucharist through the story of the disciples on their way to Emmaus from Jerusalem. 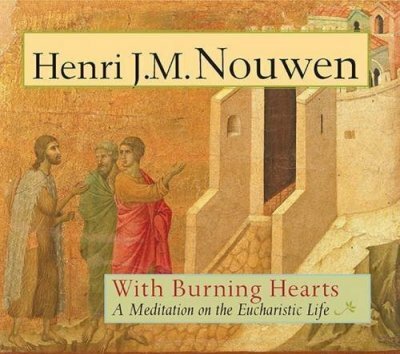 Henri Nouwen shows us how the Eucharistic event is intensely human, revealing the deepest human experience: sadness and loss, attentiveness and invitation, intimacy and engagement. Along this five-step journey, the disciples travel, grow and learn, from mourning to discernment, from invitation to intimacy, and finally from community to the charge to go forth and witness. With Burning Hearts calls us to experience all of this journey, to know what we celebrate and what we are called to live are one and the same. I am pleased to endorse this very important new initiative in support of Catholic Education. It is called Grateful Advocates for Catholic Education or GrACE. GrACE will endeavor to help unite, educate and communicate with those in our Diocese who want to advocate on behalf of Catholic Schools. I trust that this significant network of people will inspire greater appreciation for the pivotal role of Catholic education in the formation of our children. 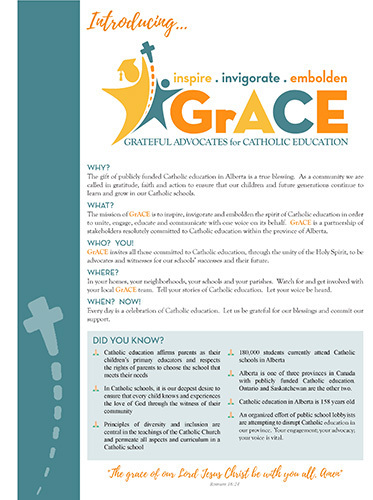 Catholic Education is a treasure in Alberta and in the Diocese of Calgary that we must not take for granted. The witness of our faith in Catholic education helps our children thrive, succeed and grow into the well-formed leaders of tomorrow. So, let us stand together with the parents of the 180,000 children in our Catholic schools to make sure that we continue to provide valuable, high quality, Catholic faith-based education. I ask that the attached GrACE flyer be printed and distributed with the Sunday bulletin in each parish on the weekend of November 3-4. Thank you for your cooperation and I will share with you more information from GrACE in the coming weeks and months.